This Safavieh Courtyard area rug is sure to make a statement in any room of your modern home. Designed to decorate an indoor/outdoor space, this plush synthetic material rug is high quality. This machine-made rug will make a bold statement in your home that lasts. Modern style meets quality in this geometric patterned beige tan rug. 7 ft. 10 in. X 7 ft. 10 in. This modern Safavieh Courtyard area rug will instantly improve any room you place it in. Crafted to be an indoor/outdoor piece, its plush synthetic material is unique and comfy at the same time. This rug is comfy, machine-made, and stylish. This grey rug has a fashionable geometric pattern to add some flair into your home. 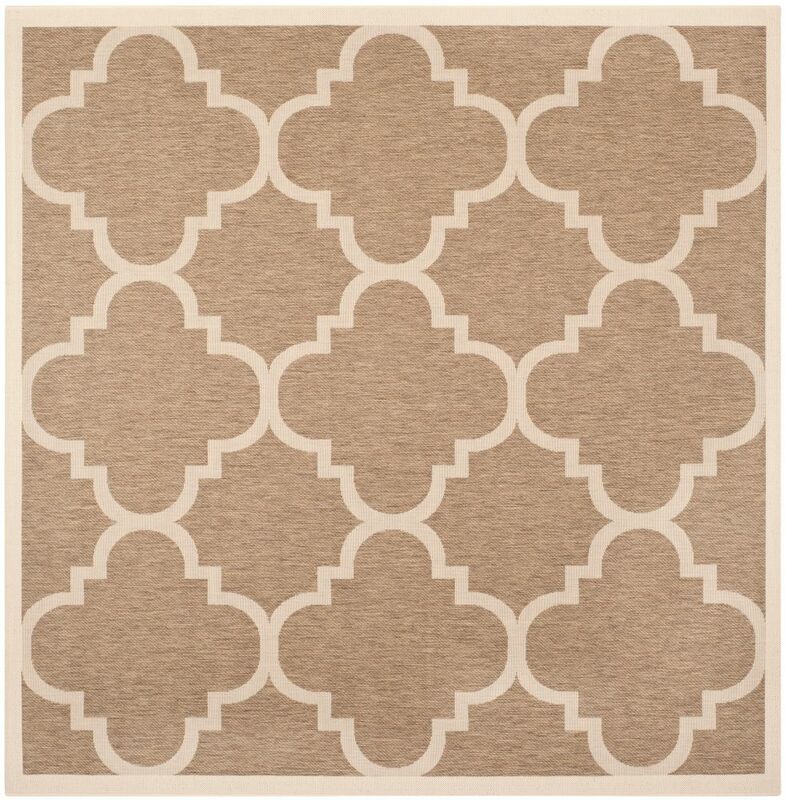 Courtyard Alex Brown 7 ft. 10 inch x 7 ft. 10 inch Indoor/Outdoor Square Area Rug This Safavieh Courtyard area rug is sure to make a statement in any room of your modern home. Designed to decorate an indoor/outdoor space, this plush synthetic material rug is high quality. This machine-made rug will make a bold statement in your home that lasts. Modern style meets quality in this geometric patterned beige tan rug.